One powerful company executive can make all the difference between mediocrity and wild success. Now, imagine if you had several high performing individuals on an executive team. How would your business process improvement be better? Would you increase your profits? Would problems be solved faster? It sounds too good to be true. However, you can have have multiple all-star executives or top CEOs. See how many companies are successful at finding, training and retaining talent by creating executive teams. Great companies understand that executive talent is developed, not just bought. Most high level executives have learned to perform well from experience and perhaps, IT management training. Sometimes, it can be hard to get these top performers to work together. After all, each one of them knows what works best for themselves. Why should they do anything different? 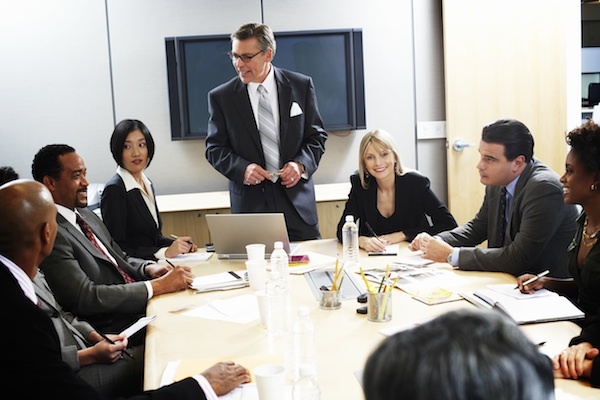 To encourage executive team building, it important to let executives stick to what works for them while providing an opportunity to connect with others. This business communication is critical for any company. When I talk performers come together and share their experience, they might find that they have a lot more in common than they originally thought. But, in the busiest of companies, the opportunity is not always there between project deadlines, budgets and sales forecasts. Start your executive team development by first setting a time. It’s important to coordinate schedules of all participating individuals and determine a time that works for everyone. Some executives are completing an MBA in the USA and need the evening hours to continue their educational development. It will be very difficult for a team member to get to know the people around them better if they really should be somewhere else. Proper time management is essential for everyone to be present and engaged. Once you have a time that works for everyone, you’re ready to pick an activity. You can either have an off-site meeting or on-site meeting. Typically, these team building exercises should be held regularly, not twice a year. So, if the office conference room is open, hold the exercise there, where it is accessible and easy for everyone. Next, have a few activities prepared where executives can share their experience and expertise with one another. This can be in the form of simple list of questions, games or simulated situational exercises. Executives can work together by making a digital story, solving a hypothetical business challenge or simply sharing stories of old bosses. By working together and listening, executives learn more about each other, breaking down stereotypes, assumptions and pre-existing conflicts. Remember, the point of the exercise is to get the executive team to work together more efficiently. So, if something gets held up, be flexible so that people have time to learn about each other and clear up any unfinished business. You want to make sure no gets bullied at work which can happen in the executive suite. If any conflict does arise, the executive team will be better and closer after resolving it than ever before. Just like your human resources and production teams, the executive team needs to be managed. In any business, all teams must be dynamic to respond to the needs of the business. More recently, companies have done this by expanding the senior management roles and overall executive team to become committees. These roles include top positions like the CEO, CFO, CIO, COO and CCO. That’s a lot of CO’s in addition to the famous top CEO’s. However, these are chief officers of executive administration, finance, information technology, operation, communications and collaboration. Developing an executive team requires leaderships. At the end of the day, they are going to respond to the goals and visions set for them. It is up to you keep holding the standards high. By setting ambitious benchmarks, you have to support the team that they can meet and exceed expectations. Then, they will start to deliver results by taking leadership in their roles. When you continue to hold everyone to higher standards, the whole organization as a whole. These are the types of people every head hunter tries to find. As a result, the entire executive team exemplifies the leadership that is demanded throughout the entire company. Depending on your executive team, you will have to work to carefully add and remove the right people. By having the right talent on the team, it will function more productively and yield better results. Sometimes, that means letting some high performing executives go for the betterment of the business purpose.